Hello crafters! Welcome to a brand new Studio Monday tutorial! Did you know that March is National Craft Month? As a special treat, all this month during my Studio Monday series I will be sharing fun ideas for creating unique projects with paper crafting supplies! 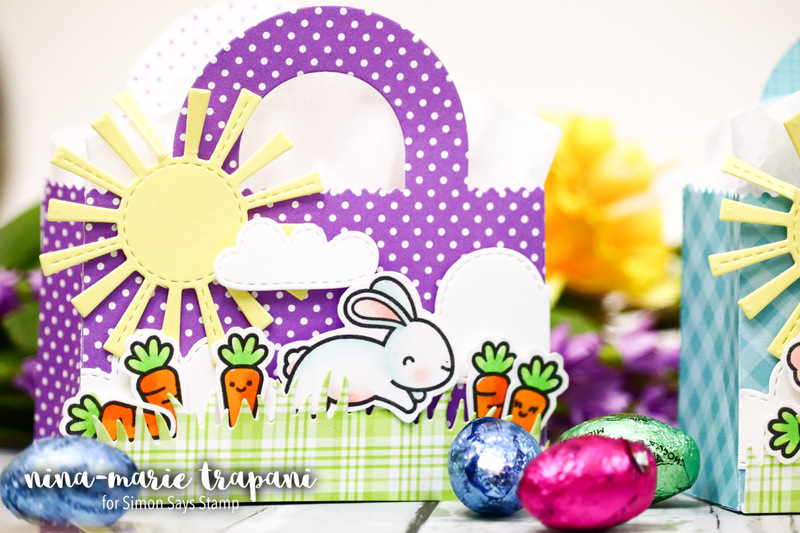 Today we are making treat bags using some new Lawn Fawn goodies that are simply adorable! 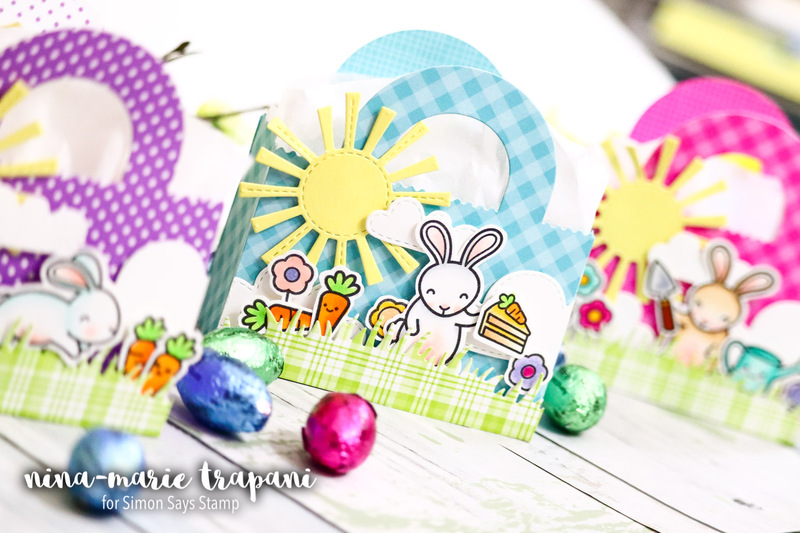 The main elements in these projects are the darling Tote Bag Lawn Fawn die and the super-cute Some Bunny stamp and die sets. Here’s a look at how these treat bags look when they are completed! These little bags are perfect for decorating and then filling with little treats! 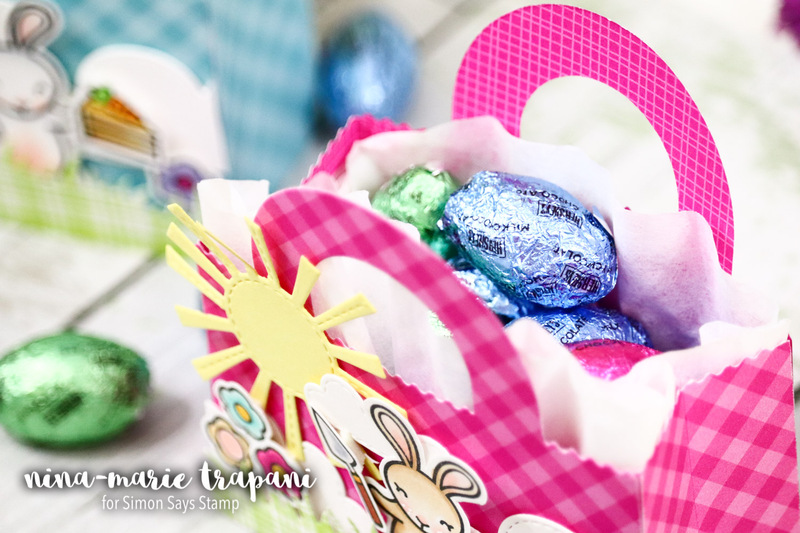 I placed candy in mine, as the theme of this project is an Easter treat bag (and candy is always a big deal during this holiday!). You could also fill these totes with small goodies, such as a woodblock stamp, a small toy for a kid, a piece of jewelry, even a gift card! 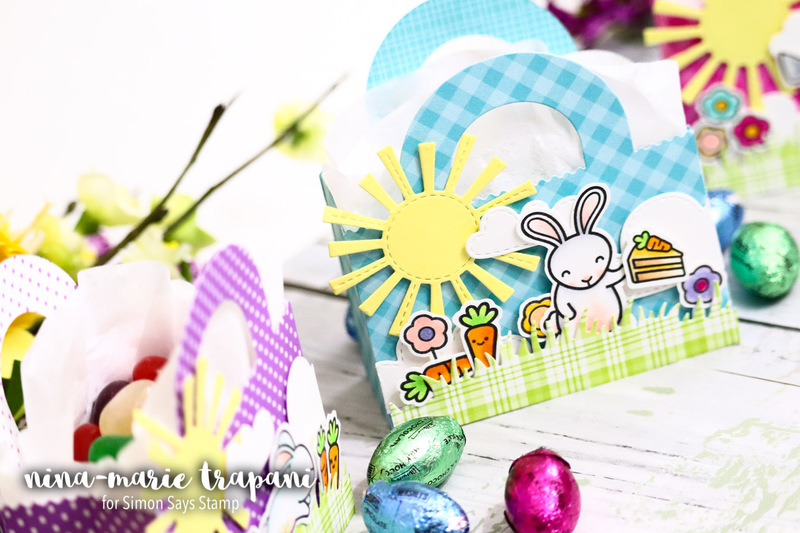 As for decorating, you can go super-simple and leave the tote plain (maybe cut from kraft cardstock for a natural feel or some bright patterned papers for quick and easy fun!). 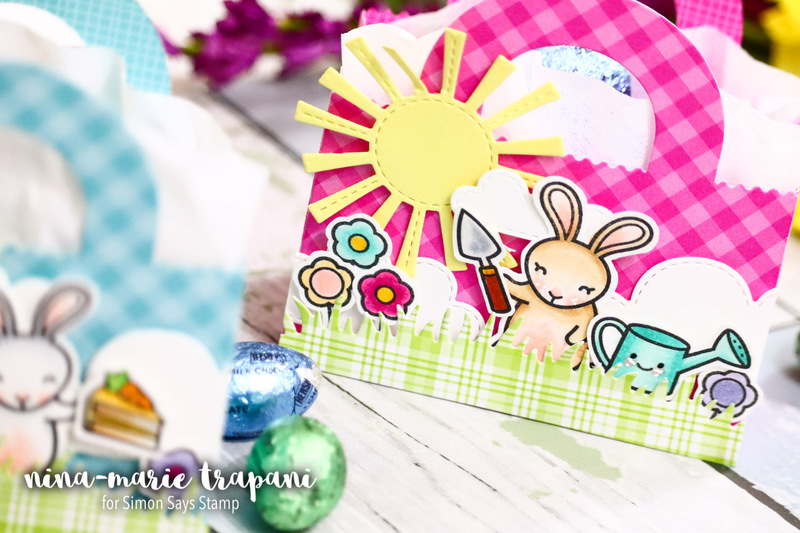 Another option is to break out your favorite stamps and dies and make cute scenes! I love building scenes, so this is what I did to decorate my little treat bags. 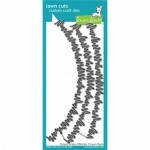 With a Grassy Hillsides die, I cute a piece of Lawn Fawn Spring Perfectly Plaid paper for the ground in my scene. The sky features the adorable Spring Showers die set (that is an oldie but goodie that I have used for forever and still love)! If you would like to see how these little cuties come together, be sure to watch the video at the top of the post! Be sure to stop back this week, as I have quite a few projects to share! Thanks for visiting me today! These are simply adorable Nina.